Motiv: The travel time is coming. Passport on a travel suitcase. GERMANY, BONN - APRIL 10: The travel time is coming. Symbol photo on the topics travel document, vacation, travel, etc. 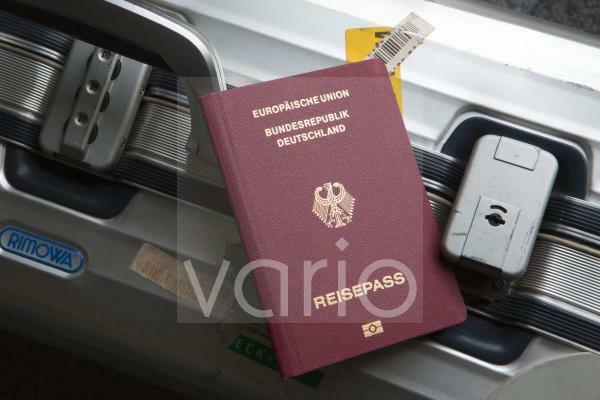 The picture shows an passport (European Union, Germany) on a travel suitcase.